Do you know anything about these brands? 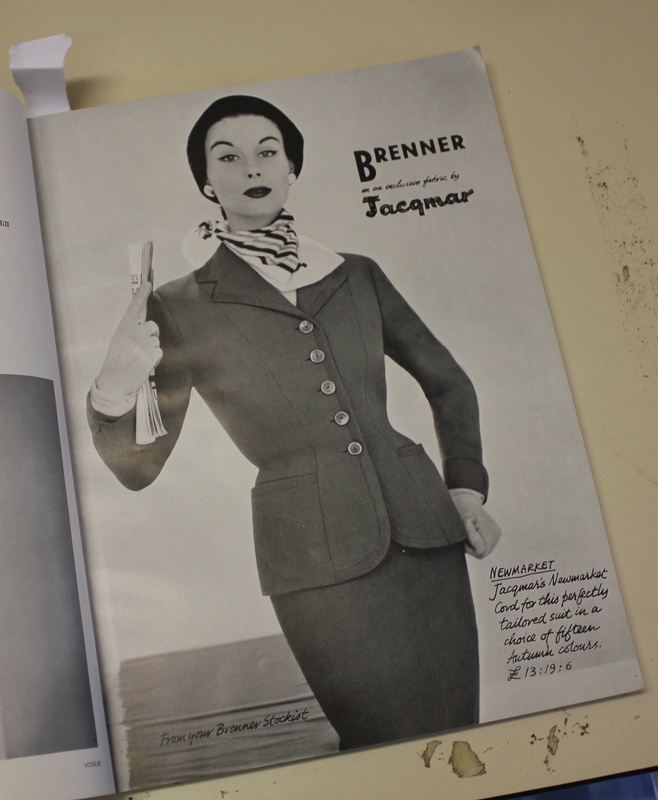 I am currently researching into a number of key British Ready-to-Wear companies (“model” houses) who were in operation in the 40s and 50s. If anyone has any interesting titbits (or owns garments by the following brands) that are pre-1965 please let me know! I am primarily interested in pieces that date from ’45 to around ’65. In brackets I have put the brands “diffusion” lines that I am also interested in/ who the designer/ owner was. I will be posting more about my research, and what I’m up to over the next few months, but this is just me after some help by my lovely readers. For reference here are just a few ad’s from these companies. 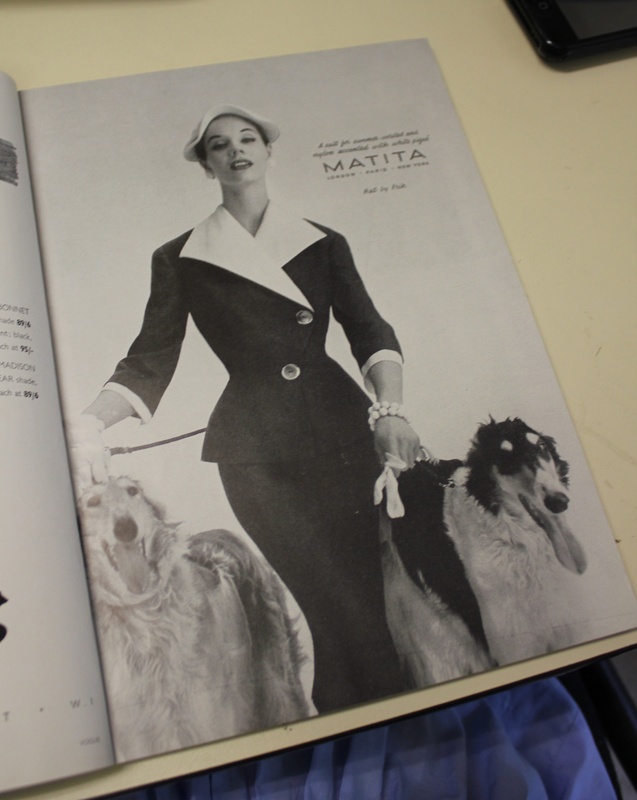 I’ve been lucky enough to go through EVERY British Vogue between 1945 and 1961, so this is where these come from. I am now just wading through the export magazine Ambassador too. It might be October but I’m still wearing summer dresses. 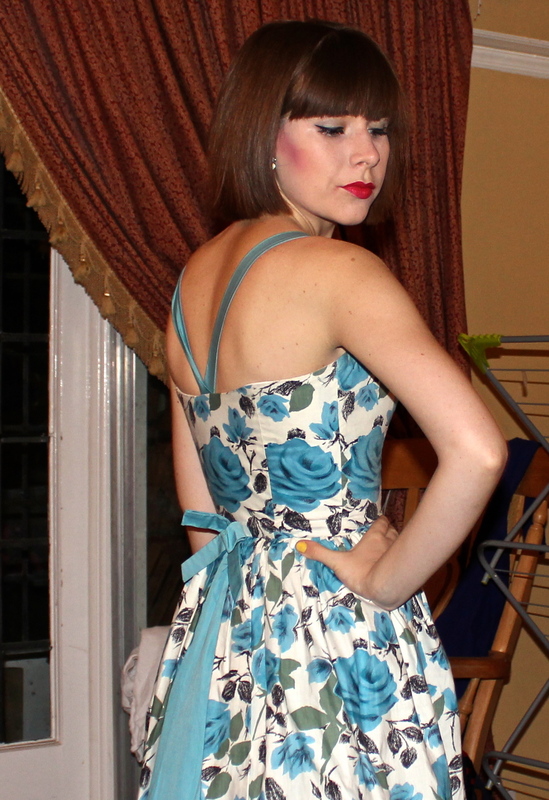 I have what can only be described as some sort of vintage “disease” which means I will quite happily wear uber summery vintage dresses even on cold October nights….which is precisely what I did on Saturday night for one of my best girls birthdays. 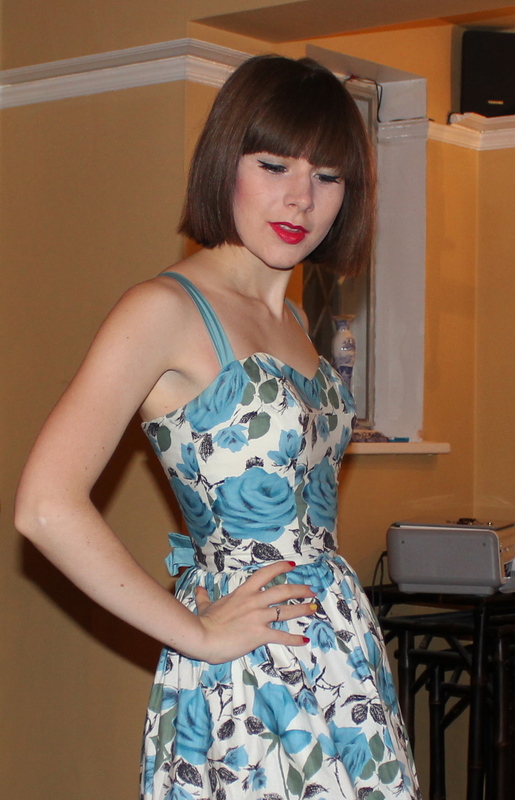 The dress I chose to wear was one of my large collection of Horrockses, although it was one I haven’t actually worn before owing to the fact I originally couldn’t get it done up. I haven’t lost any weight, but after realising if I fiddled around with the position of the dress enough I could actually get it done up! The dress came from the excellent Liz Van Hasselt (you can find her here), I have previously bought some utterly fabulous Delman 1940s shoes from her that are amongst my prized possessions. The Horrockses is not one I have found an original advert for (yet!) 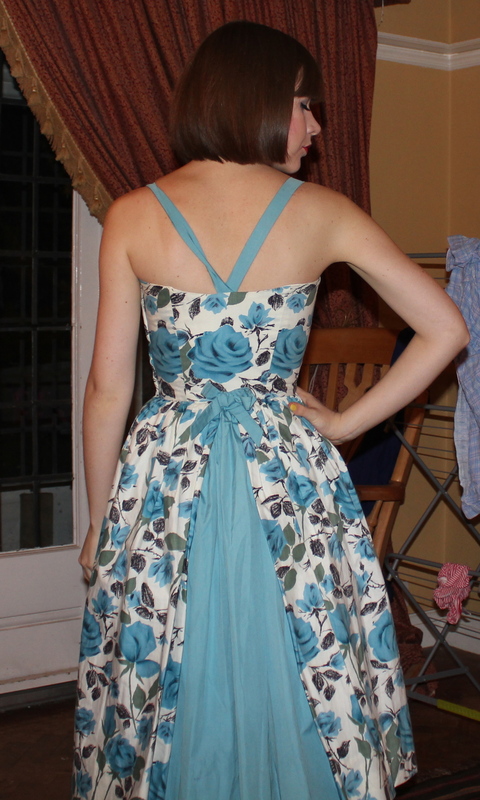 but owing to the shaping of the back I guess it is probably from 1959. I particularly like the flying panel in the back, which means you have more fullness through the back than the front. 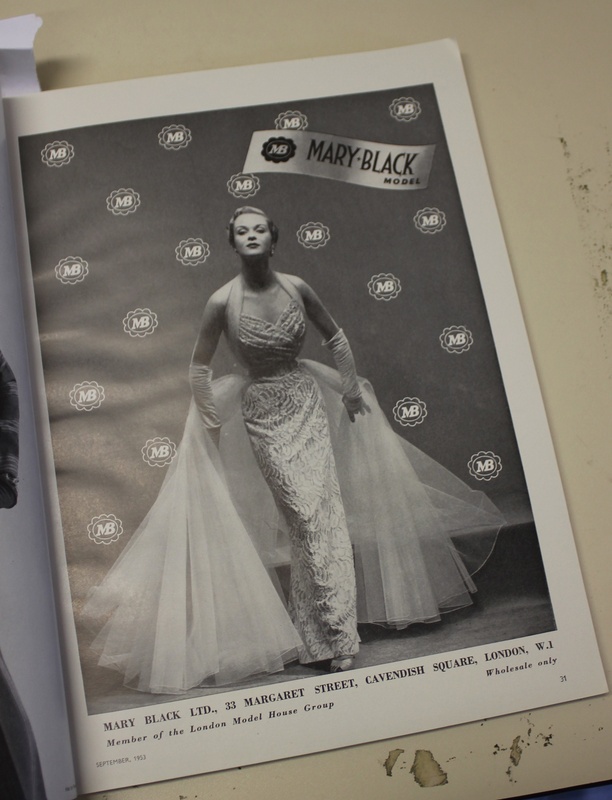 It also has a Harvey Nicholls label, showing where the dress must have been purchased from! 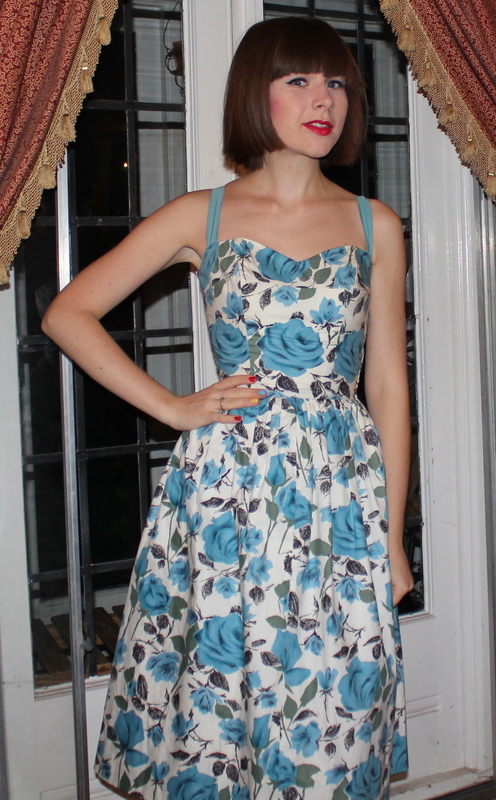 I have to say it is a particularly well made example and is fully lined with a lovely stiff petticoat underneath too. Lets hope by next summer I can still get into it! My apologies for the twisted strap in the pics, and the general terrible ness of the photos, these are these were just very quick snaps because I wanted an opportunity to shoe the dress off on the blog : ) I teamed the dress with (gulp) poker straight hair, and a pair of trusty 1940s American navy blue suede shoes. Whilst busily researching for my masters dissertation today (ok, perhaps not so busily, perhaps more flicking through the Ambassador at a leisurely speed) I happened to stumble across something rather exciting. Initially I felt like I might keep this snippet of information to myself, but realised it was just too good not to share! Thanks to Chris Boydell I have long-since known that Horrockses purchased textile designs from Lucienne Day, but it was never clear whether any were actually put into production. This was because Horrockses purchased up to 1000 prints per year and not all of them were used. Furthermore, Horrockses did not tend to publicise the name of the designers who created the prints. In the early years the links between the brand and Alastair Morton were made explicit, but as time went on they were more determined to create a unified brand image and hence such links were played down. The notable exceptions being Louis le Brocquy and Eduardo Paolozzi. 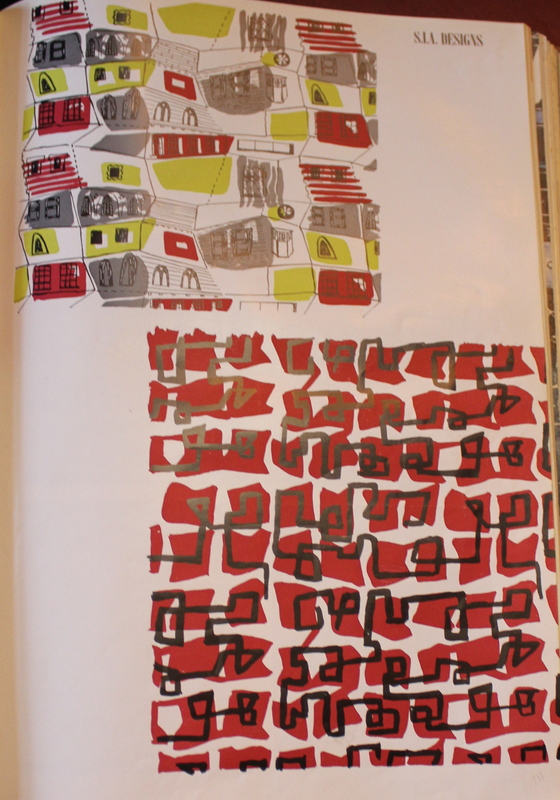 This all meant that even if Lucienne Day’s print had gone into production it would be difficult to know for certain if they were designed by her. Therefore when going through a January 1950 copy of the Ambassador today I was pretty damned excited to turn up these four designs. So keep your eyes peeled for these prints on Horrockses garments, because if you find them I think this would count for vintage gold. I think all four are Horrockses (other designs throughout the article only mention one manufacturer per page), although it *might* just be the red abstracted rose design. As an aside, these images come from an article on the “Society of Industrial Artists” for its Biennial review. I believe this was to promote the use of British artists by British fabric producers. I’m going to keep my eye out for more booklets/ articles relating to the Society of industrial Artists, the images found on these pages were certainly pretty inspirational. 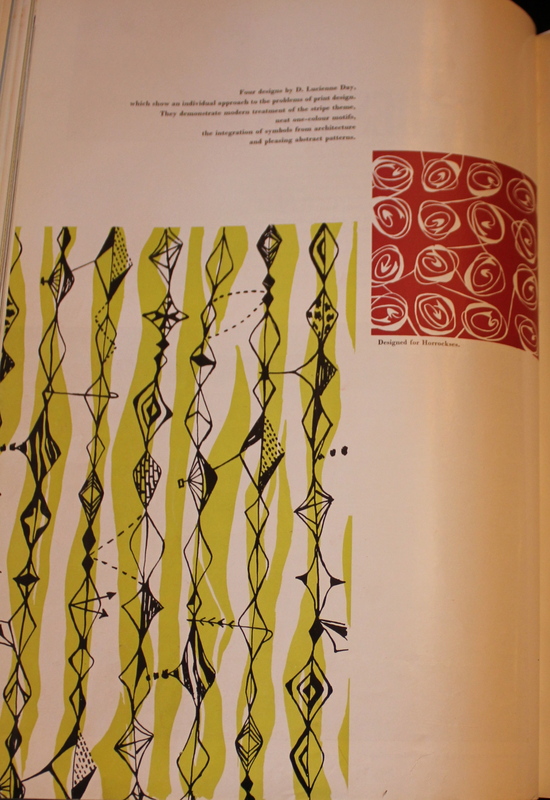 The images too also interested me as they quote Day’s name as D. Lucienne Day. Her name was actually Desiree but she didn’t use this name. This is the only time I have ever seen her referenced as this! This is quite early on in Day’ fame as a designer. 1950 was the year that she designed her first textile for Heals, ” Fluellin” and gained widespread recognition.